On May 6, the Islamic State (IS)-linked media group, al-Amaq, claimed that a shooting attack which took place in Nizhny Novgorod, western Russia, was committed by a ‘soldier’ of the Sunni-jihadist group. According to a statement from Russia’s Federal Security Service (FSB) on May 4, an assailant opened fire on police officers during an identity check and barricaded himself inside an apartment in the city. The statement indicated that the perpetrator was later neutralized by security forces. From 14 June to 15 July 2018, Russia will host the FIFA World Cup in a number of cities, including in Nizhny Novgorod. In the run-up to the tournament, Russian security forces have carried out a large number of raids and arrests, looking to neutralize militant cells made up of both Central Asian migrants, mostly based in major cities, and North Caucasian militants, mostly from the Republics of Chechnya, Dagestan, and Ingushetia. Since the beginning of 2018, at least 38 militant counter militancy raids have been recorded in Russia, the majority focusing on reportedly IS-linked militants. At least five of the raids occurred in or near World Cup cities, including Moscow, Nizhny Novgorod, and Rostov-on-Don. On April 17, three suspected IS-linked militants were arrested near Rostov-on-Don by FSB agents. A number of reports suggested the possibility that the militants were embedded in the city to wait until the start of the World Cup and carry out an attack during the tournament. The claim from IS and the reports from the FSB indicate the first case of a successful attack occurring in a World Cup host city in 2018. The most recent Islamist militant attack in one of the host cities was in St. Petersburg in mid-2017. The incident underscores previous assessments that militants, from both Caucasian and Central Asian origins, are looking to focus their operations on the World Cup, so as to maximize exposure during the tournament. In addition, the developments come following the publication IS’ official newsletter, Al-Naba, on May 4 which called on its supporters to conduct attacks across Russia, underscoring the group’s continued interest in projecting its militant capabilities in the country. This assessment gains further credence considering IS’ repeated threats to the World Cup. While there is no indication as to the origin of the militant at the time of writing, there are three main possibilities, all of which have been previously recorded in Russia. In the event that the attacker was a lone-wolf Central Asian migrant, who was locally radicalized within Russia through online and on ground Islamist networks, the incident highlights that lone-wolves in major cities are heeding to IS’ demands to carry out attacks on World Cup cities, demonstrating the threat in any city with a significant Central Asian diaspora community. In the event that the militant had links to Caucasian militant cells, it highlights attempts by the Caucasian Emirate pro-IS group to embed radicals within major cities, prior to the tournament, who will then carry out attacks. This is likely designed to occur before security in the North Caucasus becomes overwhelming around the time of the World Cup. The third option is that the militant may have had connections with both Central Asian militant networks and Caucasian cells, which would constitute a significant threat as such an assailant would be able to utilize the covert nature of the loosely linked Central Asian networks and the expertise of the well established Caucasian groups. Going forward, a significant increase in counter-militancy operations in major cities and the North Caucasus will occur in the run-up to the World Cup. Furthermore, the potential for both minor and major attacks in all host cities remains before and during the tournament, likely looking to specifically target stadiums and locales with international attention, so as to maximize exposure. Travel to Russia may continue while maintaining vigilant given the elevated risk of militancy and crime, particularly in major cities and World Cup host cities. (Click for our special report on threats to the 2018 World Cup). 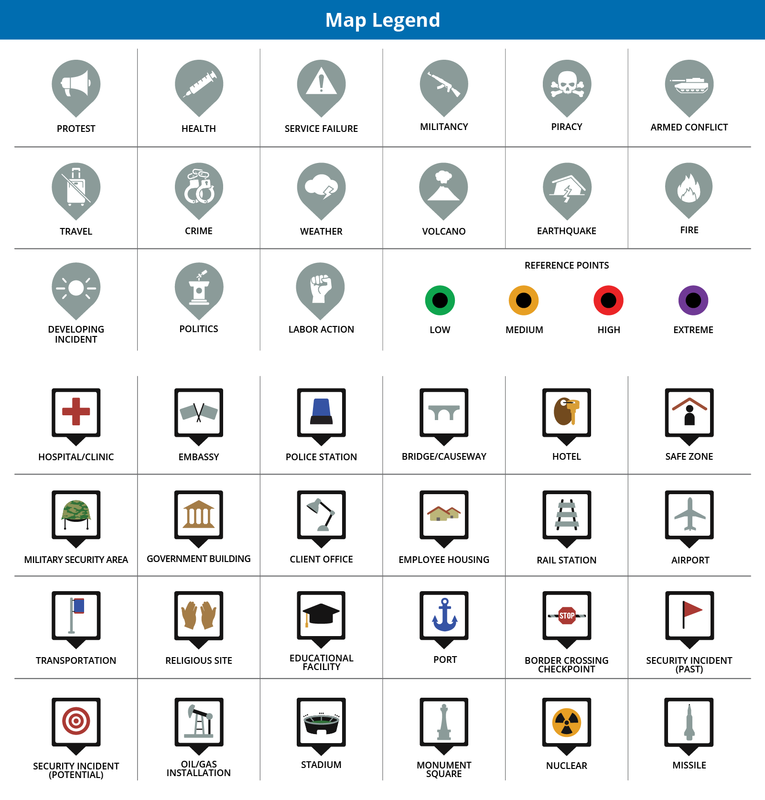 Remain cognizant of any suspicious individuals or items that look out of place. Immediately alert authorities if identified. Avoid all nonessential travel to the North Caucasus region, given the high risk of militancy and kidnapping. On February 19, the Islamic State (IS)claimed responsibility for a shooting attack that left five worshippers dead and five others wounded, including two security personnel, outside a Christian Orthodox Church in Kizlyar City of Dagestan on February 18. The incident reportedly began when the assailant, now identified as a local resident named Khalil Khalilov, opened fire using a hunting rifle, targeting a group of worshippers who were leaving a church ceremony dedicated to the start of the lent season for Russian Orthodox Christians. According to a statement from the Ministry of the Interior, the assailant was neutralized by the security forces almost immediately following the incident. At the end of December 2017, the North Caucasus saw a significant rise in anti-militancy operations from the Russian authorities, with a threefold rise in raids compared to the previous two months combined. This came before the entry into the holiday and election seasons, as the Russian Orthodox calendar celebrates a number of festivals at the beginning of the year and the first round of elections are slated for March 18, 2018. In addition, these operations came as part of a more macro plan by the government to increase the levels of security in Russia in general, ahead of the 2018 World Cup to be held in June/July. Given that the claim was an official publication from IS, that it came less than 24-hours after the incident, and that it explicitly mentions “Qawqaz Wilayah” at the top, referring to the IS’s affiliate in the North Caucasus, we assess that the attack was likely directed by IS leadership. IS has recently been looking to increase its focus in Russia and one of the primary ways it has achieved this goal is through the Qawqaz Wilayah affiliate, built primarily of local Caucasian militants who have long been organized into jihadist cells. Initially stemming from the Chechen wars in the 1990s and 2000s, many militants received training within the group’s ranks in Syria, where North Caucasian Russians made up a significant number of the foreign fighters. The reason for IS’ interest in Russia is based on both ideology and practicality. From an ideological point of view, Russia played a significant role in reducing the power of the Islamic State in Syria, by supporting the Bashar al-Assad government militarily, making them one of the most prominent targets for retribution in the eyes of the group’s leadership. In addition, with the elections and World Cup coming up in 2018, the country is receiving particular international attention, compounding the attractiveness of carrying out attacks. From a practical point of view, given that Russia already has a high number of radical jihadist militants and Islamist minded individuals, both in the form of Caucasian cells and Central Asian semi-organized lone wolf groups, it is a prime country to encourage attacks. There are also a large number of fighters from Syria who are believed to have returned to the country and have both the training and motivation to carry out major attacks. In that regard, Russia is somewhat of a vulnerable target, given the extensive militant networks which have existed in the country for decades, as well as the large numbers of poor, disenfranchised Muslims, particularly Central Asian immigrants, who are good targets for online radicalization. While attacks are fairly common in the North Caucasus (occurring almost every month), they usually target security forces and not civilian targets. Not only was the February 18 attack directed at a civilian target, but it was directed at an Orthodox Church, viewed by many as a symbol of Russian pride and culture, likely making the attack particularly negative for many of the Russian populace. This incident stands out from the regular trends of militancy in the North Caucasus as a notable and particularly heinous attack, which will spur the government to pay particular attention. IS and their affiliates likely deliberately targeted an Orthodox Church knowing how sensitive the issue is, in an attempt to catalyze ethnic and religious tensions in the country, between Muslim Caucasians and Orthodox Russians. Such tensions allow them to better recruit and carry out attacks, as Muslim youth in the country becomes increasingly disenfranchised by the religious friction. FORECAST: The incident on February 18 underscores the previously assessed threat of militant activity targeting the civilian population in the coming months, based on their attempts to carry out attacks in the run-up to the elections and World Cup. Such attacks are likely to primarily manifest in two ways. The first will come from small cells and organized groups in the North Caucasus, who primarily operate within that region. The second will come from IS-inspired “homegrown” cells in major cities in Russia, which are predominantly made up of self-radicalized militants of Central Asian origin. While both militant threats have the potential to manifest in attacks in major cities going forward, past precedent has indicated that the threat from Central Asian radicals is more pertinent in Moscow and St. Petersburg. FORECAST: The Russian government is aware of the acute militant threat in the country, particularly in the North Caucasus, and the current administration, led by President Vladimir Putin, who is running for reelection, is cognizant of its need to maintain a strong hold on the country’s security. Security forces will likely be instructed to carry out a large number of visible counter-militancy raids, particularly in the North Caucasus, to display to the electorate that the Putin administration is handling the militancy problem properly and to build confidence in the Kremlin. This will occur similar to what happened before the winter holiday season, which saw a dramatic increase in anti-militancy operations. The Russian government is also keen to portray a stable security situation to the international community, ahead of the 2018 World Cup, which is being staged throughout the country, (with games being played in Sochi and Rostov-on-Don both near to the North Caucasus region) and has been explicitly mentioned by the Islamic State as a potential target for attacks. 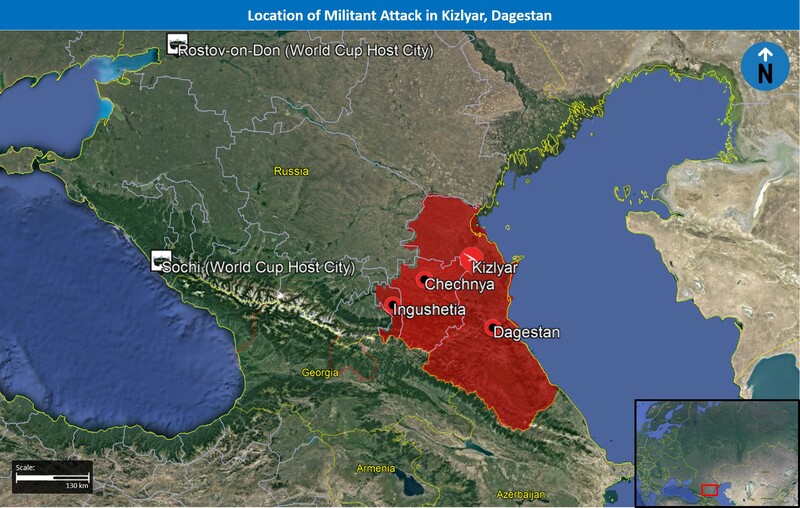 FORECAST: The raids are likely to occur over the coming weeks and involve major operations in the North Caucasus which will likely see Special Operations units attempt to arrest or neutralize armed militant cells, predominantly in the republics of Chechnya, Dagestan, and Ingushetia. In addition, it is also likely that arrests will be recorded in both Moscow and St. Petersburg, focusing more on Central Asian self-radicalized homegrown cells. Travel to Moscow and St. Petersburg may continue at this time while adhering to standard security protocols given the latent threat of militancy, crime, and civil unrest. Avoid all nonessential travel to the North Caucasus region, including Dagestan, given the elevated potential for militant incidents targeting civilians. Maintain vigilance when traveling in Russia around notable events such as the national elections or 2018 World Cup, given the increased potential for militancy. The US Department of Defense (DoD) has stated that two US naval destroyers stationed in the eastern Mediterranean Sea launched a total of 59 Tomahawk Land Attack Missiles (TLAMs) at Syria’s Sharyat Airbase, located approximately 25 km southeast of Homs City, at 04:40 (local time) on April 7. According to the DoD, “the TLAMs targeted aircraft, hardened aircraft shelters, petroleum, logistical storage, ammunition supply bunkers, air defense systems, and radars”. Additionally, the DoD further stated that the operation was conducted in response to a chemical weapons attack on April 4 in Khan Sheikhoun, Idlib Governorate, which the US intelligence services assessed was conducted by Syrian Arab Air Force (SAAF) aircraft from the Sharyat Airbase. The DoD claimed that the base had been used to store chemical weapons, though the chemical weapons storage units were not among the specific targets stated by the department. Additionally, Russian forces were stationed at the base. According to reports citing Russian officials, the Kremlin considered the US operation as “ an act of aggression against a sovereign state,” thus “violating the norms of international law.” Furthermore, Russian defense officials reportedly stated that military cooperation with its US counterparts, specifically that relating to the movement of their aircraft in Syrian airspace, has been suspended as a response to the US missile strikes. Moreover, a spokesperson for Russian President Vladimir Putin stated that the US operation represented a “significant blow” to US-Russian relations. 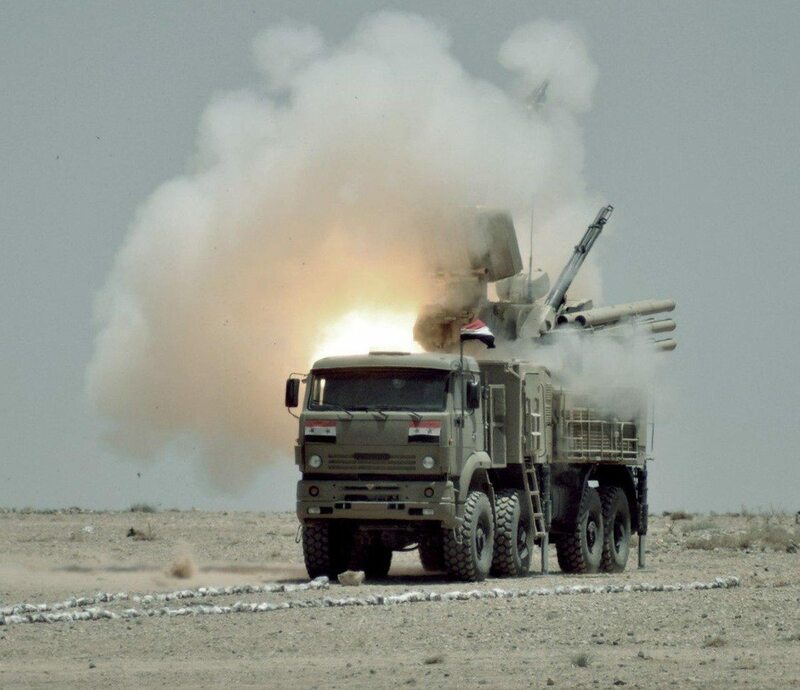 Additionally, a spokesperson for the Iranian Foreign Ministry reportedly condemned the operation, claiming that the missile strikes would lead to “the strengthening of failing terrorists” throughout the region. This event is highly notable given that this is the first occasion on which the US military has conducted an attack against government-controlled targets in Syria, thus marking a significant change in US policy towards Syrian leadership. Furthermore, the high number of TLAMs launched is particularly significant, as this indicates that the US sought to inflict heavy damage to the airbase, as the use of this number of missiles, which feature a heavy payload, would render the airbase as unusable. In this context, while this US operation was intended to cause physical damage to the airbase, it was also likely one of symbolic nature, as opposed to an effort at gaining a tactical advantage or military gains, namely given that the DoD stated that the planes that conducted the April 4 chemical attack in Idlib Governorate originated at Sharyat Airbase. This likelihood is further bolstered by the fact that the missile strike, while reducing Syria’s capabilities by air in the immediate area, does not significantly hinder the Syrian Army’s operations in the country overall. Although, the US maneuver likely limits the potential for the Syrian government to launch chemical attacks from Sharyat in the short term. Furthermore, it is important to note that the US military avoided hitting the chemical weapons stores likely in order to prevent the potential consequences of chemicals then being released into the air, thus causing unintended casualties in the vicinity. Moreover, the US’s notification of Russian authorities prior to the strike likely demonstrates that the US sought to limit the diplomatic fallout between itself and Russia by avoiding sustaining casualties to Russian and allied Syrian military personnel. While bilateral tensions between the US and Russia have likely been strained, as would have been anticipated by US authorities, the situation would have been further exacerbated if Russian military personnel had been killed in the operation, or if a higher casualty count among Syrians had resulted. Thus, the likely aim of the US government was to avoid such implications, and instead, keep the missile strike in the framework of an act of retaliation against the chemical attack. Through directing such an operation, the administration of US President Donald Trump is likely attempting to advance specific political objectives, as opposed to solely projecting an image of military might. Firstly, the president likely seeks to indicate that the US government maintains a low level of tolerance for Syrian actions that it perceives as war crimes and human rights violations, as those witnessed in the April 4 incident. In this context, such actions contrast greatly to the policies of former US President Barack Obama, who in August 2012 had established a “red line” regarding the use of chemical weapons by the Syrian government, but hesitated on acting once such attacks were ultimately conducted. Thus, given that Trump had widely criticized Obama for this inaction, the US President likely seeks to present himself as active in similar situations, responding against such perceived violations as took place on April 4. Furthermore, in light of vast media attention being given to alleged ties between the Trump administration and Russian leadership, the move may have also been an effort by the former to demonstrate distance between itself and the latter, as the missile strike clearly opposed Russian interests in Syria. While the move was likely not intended at damaging bilateral relations between the two countries, as mentioned above, the maneuver does indicate the US government’s willingness to engage in policies that contradict the objectives of Russian authorities, thus shedding new light on the perception of Russian influence on US affairs. With this in mind, the April 7 developments likely establish a new precedent, namely that the US will respond militarily to possible further war crimes and human rights violations by Syrian leadership affecting the civilian population. Furthermore, this US operation was likely launched at least in part to reassure the US’s Middle Eastern allies, who largely oppose the government of Syrian President Bashar al-Assad, that the US is willing to take military action in Syria against Assad. Overall, the missile strikes indicate the Trump administration’s increasing willingness to invoke more forcible measures in Syria and throughout the region to fulfill its own national security interests. Given that both the US and Russian governments likely seek to avoid a large-scale military confrontation with one another, as well as the Syrian government’s preoccupations in the ongoing civil war, we assess that the US missile strikes are unlikely to trigger armed conflict between the US on one side, and the Russian and Syrians on the other. While the Assad government likely desires to retaliate against the US missile strikes, such a move could be highly detrimental to the Syrian government, as the US military response to such retaliation would likely cause significant damage to Syrian infrastructure and personnel. Furthermore, as the US government has demonstrated an increased willingness to work with Russian leaders, particularly following the loosening of US sanctions on Russia on February 2, Russian authorities are likely attempting to avoid the potential backlash of a military conflict with the US, thus limiting the potential of military retaliation. That said, the missile strikes are likely to impact on-the-ground fighting in Syria between the government on one side and rebels and jihadist militants on the other, potentially benefiting the latter in the short term. Given that the US operation caused significant damage to Syrian infrastructure in Homs Province, the rebels are likely to benefit from the move, as the Syrian aircraft in this area was likely used to target rebels in the general region. Thus, rebel forces may attempt to take advantage of the situation tactically, by consolidating positions north of Homs City, and potentially launching offensives against the Syrian Army in the coming days. Furthermore, the US operation has the potential to alter the Syrian government’s willingness to engage in large air raids against rebel-populated areas given the potential for backlash, thus potentially benefiting rebel forces throughout the country. In addition, jihadist militants, namely Islamic State (IS), are likely to attempt to take advantage of the disarray caused by the US operation and attempt to make further gains in the region. Such instances have already been witnessed on April 8, when pro-Syrian government media reported that IS launched an offensive in the eastern Homs countryside, hours after the US missile strikes. In addition, given the disruptions in coordination between US and Russian forces regarding the targeting of IS positions throughout Syria, IS may capitalize on such interruptions in order to strengthen its footholds in the country. Overall, the potential for gains by rebel forces and IS against the Syrian government remains heightened in the coming days, namely as the Syrian government attempts to recover from the US missile strikes. That said, while an uptick in hostilities may be recorded in specific areas, particuarly Homs Province, we assess that the US operation is not likely to increase the threat level to foreign businesses operating in the region and in neighboring countries at this time. Those continuing to operate or reside in Aleppo are advised to minimize movement in the city and its surroundings, given the frequency and broad nature of fighting in the city. Avoid all travel to outlying areas and cities including Homs, Hama, and Idlib due to persistent fighting and heightened risk of kidnapping targeting foreigners, particularly in combat zones and rebel held areas. Hey Buddy!, I found this information for you: "The Kremlin’s Syrian Gambit". Here is the website link: https://www.max-security.com/reports/the-kremlins-syrian-gambit/. Thank you.